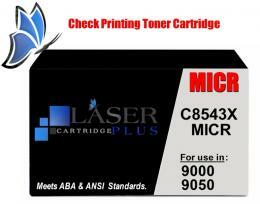 HP 9050 MICR Toner - C8543X MICR. Print your own checks with new modified HP 9000 MICR Toner. This premium modified HP C8543X MICR Toner delivers excellent print value. This HP 9050 MICR Toner Cartridge is a modified HP toner used in MICR check printing. 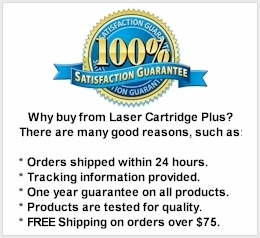 For use in: HP LaserJet 9000, 9000n, 9000dn, 9000hns, 9000hnf, 9000mfp, 9000Lmfp, 9040, 9040n, 9040dn, 9050, 9050n, 9050dn printers. 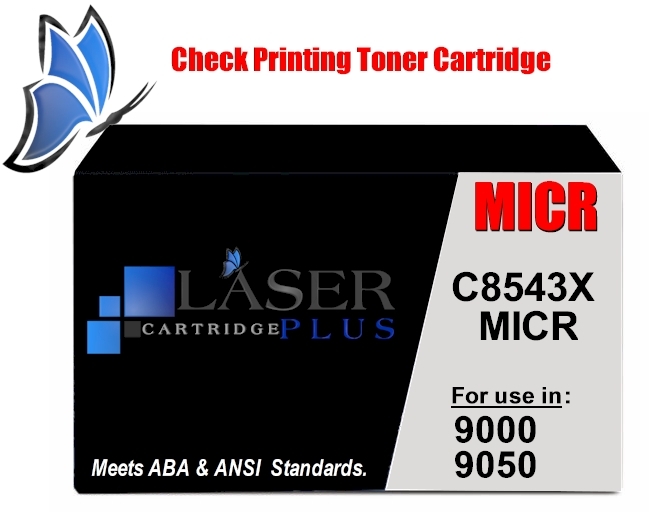 Compatible with MICR Cartridges: C8543A, C8543X, C8543M, TJN-43X. Page Yield: 30,000 @ 5% coverage.